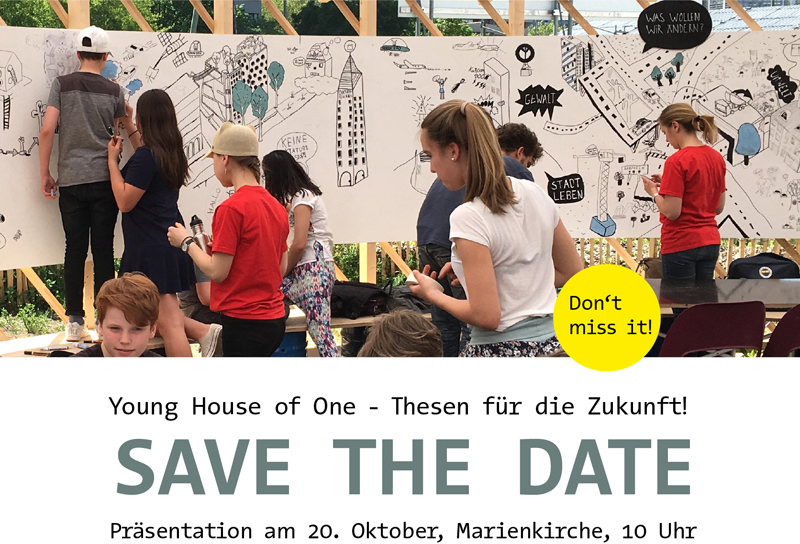 On 20th October 2017 we want to celebrate the end of our Young House Of One - Theses For The Future programme with a party at Marienkirche by Alexanderplatz. Shelly Kupferberg will lead you through the day's events, interviewing school pupils hailing from Berlin, Halle and Hannover from the comfort of her red sofa. What's important to children and the youth of today is the central focus of the workshop project 'Young House of One - Theses For The Future'. Participants will discuss what's worth standing up for, what they believe in and how we can come together, despite our differences, to create a peaceful. Senator for Culture Klaus Lederer will welcome the participants and current mayor, Michael Müller is the patron of the whole project. Along with 9 other international museums, we are in the running to win the "Children in Museums Award 2017". "Hands On!" (The International Association of Children in Museums) and the European Museum Academy honour outstanding exhibitions for children with this prize which is awarded every 2 years. The winner will be announced in October during the HandsOn! Conference in the Czech city of Plzen.